January | 2015 | I'm Skinny, Now What? I’m a strong believer in the “no excuses” philosophy. I always say that if there is something that’s important to you, you’ll find a way to get it. A couple of women have come under fire for preaching “no excuses.” They’ve been labeled fat shamers because they’ve made no excuses for taking active roles in their health. I understand both sides because I’ve been there. I’ve been daunted at the thought of all the work I have to do. I’ve looked at how much weight I need to lose, what clothes I want to fit in, where I want my cholesterol and blood pressure to be and made exhausted at the sheer thought of what was before me. It took me almost two years from the time I decided to start taking better care of myself to actually setting a plan in motion. Once I was far along in a healthy-lifestyle routine, I realized that I’d really had no excuses. Everything that was keeping me from achieving my goals was in my head. If I really wanted to start working out, then I needed to start walking. If I really wanted to start eating healthier, then I had to stop making brownie sundaes. No excuses as a philosophy is meant as a reminder that no one can stop you from achieving your goals. No one was forcing me to remain sedentary. No one forced fattening foods down my throat. Despite being overweight, I was in good health. My doctor saw no reason I shouldn’t get involved in a strenuous workout plan. I’d never had any injuries, and my ticker was ticking just fine. The only thing keeping me from moving was me. We all make excuses for why we choose not to do what’s best for us. I know for a fact that life would be much simpler with a bag of Goldfish crackers and a glass of Simply Raspberry lemonade. But that’s only for the moment. In the long run, I’m going to want to still be active. So, for me, there’s no excuse not to start today. It is in your best interest to take an active role in your health. No one knows your body like you do. And no one will be able to see what your body is capable of doing better than you. There are no excuses for not trying to do your best. 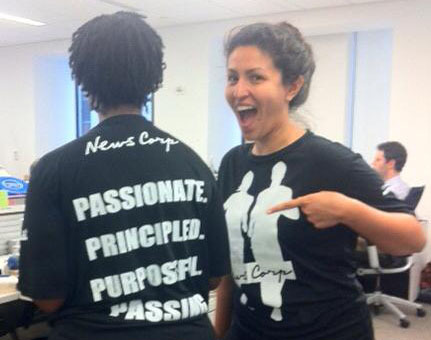 How do you feel about the term “no excuses?” Do you think it’s meant to uplift or put down? Winter is no longer coming. It’s here. And according to weather reports, we East Coasters should be on the lookout for White Walkers, direwolves and giants. By this evening an insane amount of snow is expected to blanket New York City. I’m not happy about this. I hate the cold. I hate snow. They combine the two things I cannot stand: being cold and wet. But since Mother Nature is a hater, I have to deal. I’ll go to work today, hopefully come home early (preferably by subway, MTA!) and prepare to hunker down in case I have to work from home tomorrow. But just because Mother Nature has unfriended me and unleashed this hellbeast upon this fair city, it doesn’t mean I’m allowed to slack off. The first thing anyone should do in case this kind of nonsense threatens your town is ensure you have provisions. Not everyone is lucky enough to live across the street from the grocery store. But it’s going to be so cold that those cashiers won’t see me for days. Instead, I’ve put together a few food ideas for you to prepare as you (and possibly winter boo) prepare for Winter Storm Juno (the worst name ever). Breakfast: It’s the most important meal of the day, you can’t deny it. But your usual cold cereal or cup of yogurt isn’t going to cut it this time around. You’re going to need something hearty to start you off. I suggest a nice bowl of oatmeal. It is, after all, national oatmeal month. Celebrate with a cup of warm goodness flavored with frozen berries and a little brown sugar. Or, if yogurt isn’t your thing, an egg-white omelette with veggies and a sprinkle of cheese will do the trick to get you started. And don’t forget your coffee (or tea), because it’s cold out there. Lunch: If you weren’t a fan of them before, now’s the time to make leftovers your best friend. You’re going to need something that travels easily if you have to go to work, or something that’s not going to require a lot of your time if you have to work from home. I’m a fan of chili. I make mine with turkey burger and kidney beans. Be careful of the high amount of sodium, but the fiber and protein work wonders for your system. You’re going to want food that will warm you from the inside out. Also a good look: pasta. Whole wheat spaghetti with marinara sauce is always delicious. Soup is good, too, but it doesn’t travel well. There’s always the risk of spillage. Dinner: Now’s the time to have some fun with your meal. If you’ve already prepared the night before with your soup, pasta or chili, tonight you can make another good, hot meal. For me, it’s all about comfort food in these situations. That’s when I bust out my mini-meatloaves and macaroni and cheese with sauteed or roasted veggies. Snacks and desserts: Now that you’ve warmed yourself up with your regular meals, a few cold treats won’t hurt you. In preparation for the whiteout to come, I’ve sliced up some red, yellow and orange peppers for hummus dipping. I also picked up some Goldfish crackers and will do my best not to devour them in a day. As for my sweets, I’ve got some applesauce cups and bought some snack size Haagen Dazs ice-cream bars. I know how bad I am when it comes to my sweet treats, so hopefully Mother Nature will stop hating and melt this snow quickly. What are you doing to prepare for winter wonderland? Whatever it is, be safe and drink wine. Glee star (and Big Sean’s former boo) Naya Rivera went on “The View” Tuesday and let the world in on her hygiene habits. Once every two to three days? Really? A “bird bath” can’t take care of the things I need taken care of. As someone who sweats so bad her dog won’t come near her, I have to a) question her logic and b) question what she does during the day that makes her think she’s above a good daily scrubbing. I know in some cultures it’s acceptable to shower infrequently. Hell, in some cultures a ho bath is a treat. We don’t live in that type of culture. In these United States, especially in this denizen of uncleanliness that I call home (New York), I will give you the most epic of side-eyes coupled with the people’s eyebrow if you say you shower maybe twice a week. This goes triple for those of you in the midst of your weight-loss journey. The weight-loss journey is full of dirt, sweat, tears and public bathrooms. You will have to endure public pools, dog poo on the running path and gnats in your hair. Understand that the gym equipment you’re using at 3 p.m. has been man handled at least a dozen times that day with an 80% change that one of those users had snotty hands. Suffice to say, working out makes you icky. Please for the love that is holy, wash your sweaty, nasty behind. I shouldn’t have to say this, but good hygiene isn’t just for you. It’s for your cubemate at work. It’s for your fellow passengers on the subway. It’s for your Winter Boo when he comes over that night. 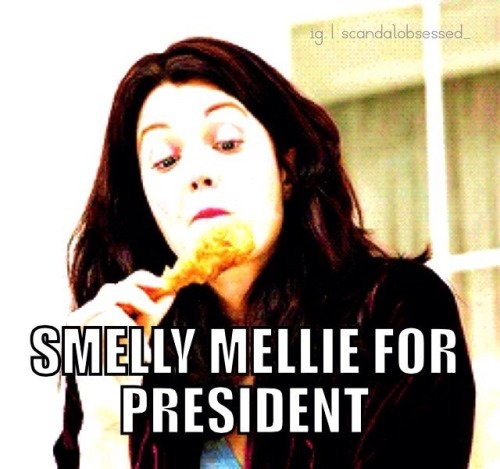 No one wants to be around Smelly Mellie. I’ve been around my fair share of smelly gym rats. Occasionally I am one. But my hygienic missteps have come from re-wearing gym clothes. There’s a bit of a gray area in this. On one hand, no one expects you to smell like a field of lilies when you’re working out. A bit of musk can be a badge of honor. However, the problem comes when you can smell yourself. If you open your gym bag and the odor knocks you out, it’s time to wash your clothes and pick out a new gym outfit. Another thing that happens is stewing in your gym clothes. I understand you’ve got errands to run and appointments to make. Sometimes there’s no time for a shower. Well, there are 24 hours in a day. Somewhere in those 24 hours, you should find time to douse yourself in soap and hot water. You are creating some funked out bacteria in all kinds of soggy cracks and crevices by not doing your due diligence with a bar of Dial soap. Say no to funky bacteria and yes to freshness. With brings me to my last point: a clean body is just plain satisfying. My gym clothes make me feel like I’m suiting up for war. I’ve got on my breastplate (sports bra), shin guards (running capris) and army boots (sneakers). When I’m wearing those clothes especially after a good sweat, I feel like I’ve just done battle. That’s good in that it’s evidenced in my attire how hard I’m working. But nothing beats a nice, hot shower after a workout. It soothes my muscles. It clears my airway. Washing the dirt and funk off of my body feels like the final step in the day’s workout goal. So don’t be like Naya Rivera. Wash yourself and feel good about it. Don’t let others relive your workout by smelling you. What did you think of Naya Rivera’s comments? While no big fan of the resolution crowd, they do have their perks. They’re enthusiasm to try something new often infringes upon many a gym rat’s well planned routine. This means the treadmill regular needs to try something new. It’s mid-January, so the resolution crowd hasn’t given up yet. As a health enthusiast, I don’t want them to. I want everyone to take an active role in maintaining good health. On the other hand, I just want to get in my hour and get out, not trip over newbies who’ve never done a weighted lunge. For the rest of the month, I’ve got to say so long to to my well-planned running route. Swimmers, good luck getting laps in at an overcrowded pool. Personally, I hate crowds. I realize the problem with this as I’m a resident of New York. That doesn’t mean I enjoy tripping over people on my way to the locker room, or yelling for people to get out of my way while I’m on a run. The resolution crowd tends to take up a lot of space. Fellow gym rats, we have two options: either sit out the month of January or find another way to get in a fitness fix. If you’ve been as dedicated as I know you have, sitting out a month isn’t on your radar. So what’s a sweat junkie to do in these crowded days of resolution haze? Find another form of workout of course. Routine is good, but it lulls the body into a sense of complacency. You have to switch up your workouts anyway in order to get prime results. There’s no time like the present. Here are a few alternatives while waiting for the crowd to thin out. 1. Runners—If your beaten path is being beat to death by newcomers, now might be the time to try a new route. Look for another circuit that can challenge you, possibly with hills or sprints. Or, seeing as it’s colder than Elsa’s thoughts, give the treadmill a try. Most newbies are out of the gym by 8 p.m., so see if you can swing a late-night workout. 2. Early birds—Speaking of late-night workouts, now is the best time to see what your gym offers after hours. There are some great night classes that start after 8. Newbies typically flock to the gym early in the day and have all am-scrayed after the sun sets. I know you like getting it in early in the day. But think of it this way: the cold has zapped away many of your evening plans, so now you’ve got the time. 3. Work from home—You all know how I hate the cold. Why would I leave my house and make myself miserable to endure this frigid nonsense? I’ve got a few perfectly good DVDs here at home that get in just the right amount of cardio. Plus, gyms weren’t always in fashion as they are now. There’s nothing wrong with doing some good old-fashioned sit-ups, push-ups, wall sits or lunges in the comfort of your own home. Let the newbies have the gym for January. You’ve got a Pilates DVD and Netflix. You win! 4. League it up—Many people who are new to the work out game consider the gym their only option to get back into shape. But sports offer a way for you to work out without thinking about it. If you made your own resolution to get back to your high-school athlete prime, then accept your status as a member of the resolution crowd and join a league. I have a really good friend who can’t seem to sit still unless he’s involved with a couple of athletic teams. Some of these games are just pick-up basketball and football games. Some are true leagues that keep their members active. Plus, he’s made tons of friends and they’ve created their own little community. 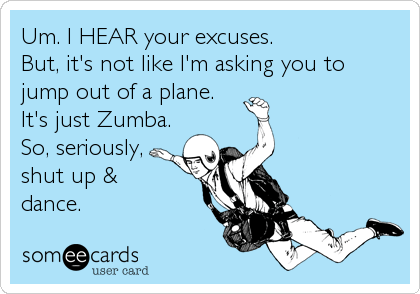 How have you been coping with all the new bodies invading your workout space? When do you think you’ll be able to get back to your routine? This’ll be me and Willa…one day. I get the “I-don’t-wannas” from time to time, but they really get aggravated around this time of year. In case you haven’t been paying attention: I HATE the cold. Right now it’s 20 degrees and the low tomorrow is expected to reach of sweltering 7. Seven!! Nothing turns me into a hermit more than single-digit temps. That’s why I’m glad to have friends like Willa. We both get lazy about working out. Fortunately for us, it’s rarely at the same time. So when I don’t feel like it, she’ll make me go and vice versa. After you’ve reached your goal weight, the hardest part will be to maintain. Ice cream sundaes don’t seem so intimidating anymore. The Five Guys ultimate of burger, fries and a soda tends to look like a good idea more and more. And huddling up near the heater during one of the coldest days of the year is way more inviting than going outside wet from sweating it out at the gym. It’s times like this you need a workout nanny. The New York Times recently ran an article about SIN Workouts, which offers to be your workout concierge. SIN employees can turn up at 5 a.m. with coffee and an organic banana to rouse clients and stand sentry while they get dressed ($100), provide car service ($25, plus the cost of the ride), arrange for freshly laundered clothes to be waiting at the Barry’s Bootcamp studio ($25), or courier over a favorite green juice ($25). During the winter months, this isn’t such a bad idea. It’s so hard to find motivation to leave the house when it’s cold. But instead of paying hundreds of dollars to have someone convince me to go, I just look to Willa. Until then, this is us. Having a workout concierge/nanny/buddy sometimes can be all the difference between maintaining your weight loss or not. Until the temperatures dropped, you were on a roll. Now it’s cold outside and all you eat are rolls. If cuffing season didn’t work out for you, your friendly motivator will have to do the trick. I’ve discussed before about how the weight-loss journey is a solo one. It always will be because no one can live a healthy lifestyle for you. But everyone needs cheerleaders. Everyone needs someone who will not take your excuses for having a bad case of the “I-don’t-wannas” or “it’s too cold” or whatever else you came up with that morning. Encouragement from a close friend or family member is a necessary item in your toolkit for maintaining a healthy lifestyle. And that was always the goal, wasn’t it? Your weight-loss journey wasn’t some vacation from your regular life. It was a mission to move yourself into another way of living. When you’ve reached your goal, you become an inspiration to those around you. They want to see you continue to do well. So the next time the “I-don’t-wannas” threaten to derail you from your path, talk to your concierge/nanny/buddy. I’m sure they’ve got a few words to help get you moving. Who do you talk to keep you motivated? Would you ever pay someone to take on the role?